Naval power historically represented the strength and wealth of nations. These great ships were symbols of military prowess and wealth that was built on trade, fishing, and exploration. Into the 19th century, ships were not only vessels of trade and travel but also the tanks and bombers of wars. They fought and won battles. They helped conquer nations, and they allowed access to areas with untapped natural resources. Their most important function, however, was trade. Wind-driven nations, with ships of two, three, or even four masts and eventually steam engines, were those that amassed wealth and drove international economies. They transported various goods, such as cotton, sugar, tobacco, or foods including oysters, fish and delicacies like turtles for sought-after turtle soup. Ships for trade provided one of the most essential types of travel, whether it was inland by canal, or across the seas of our vast earth. The elaborate rigging of a ship was admired by professional seamen and land-bound adventurers alike. Painters represented these impressive vessels in various states: racing boats painted in their moment of glory, battle ships with cannons still smoking, and simple portraits to show the true power of a ship in a clear and clean setting. 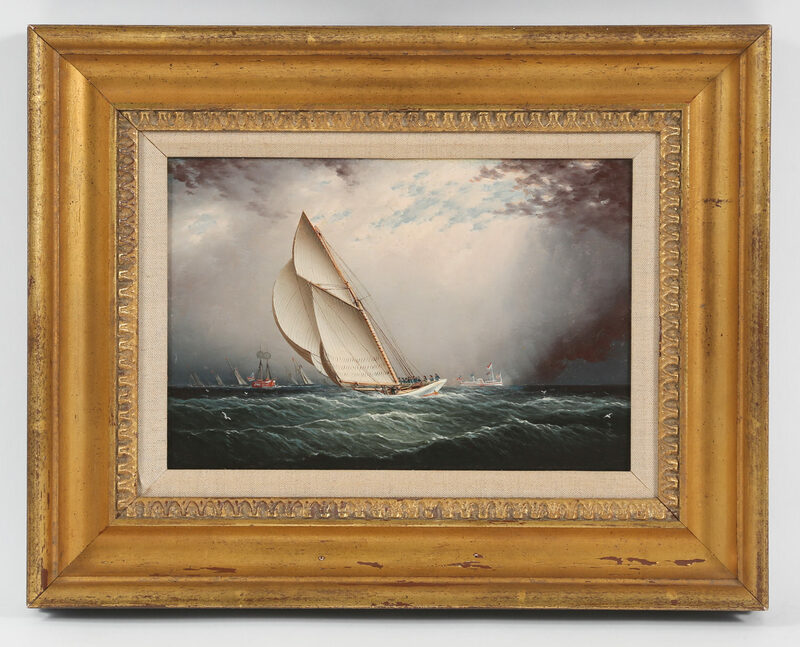 Owners of these evocative paintings are transported to a different age and a wilder life whereby they imagine the reality of high waves, strong winds, and stiff sails. 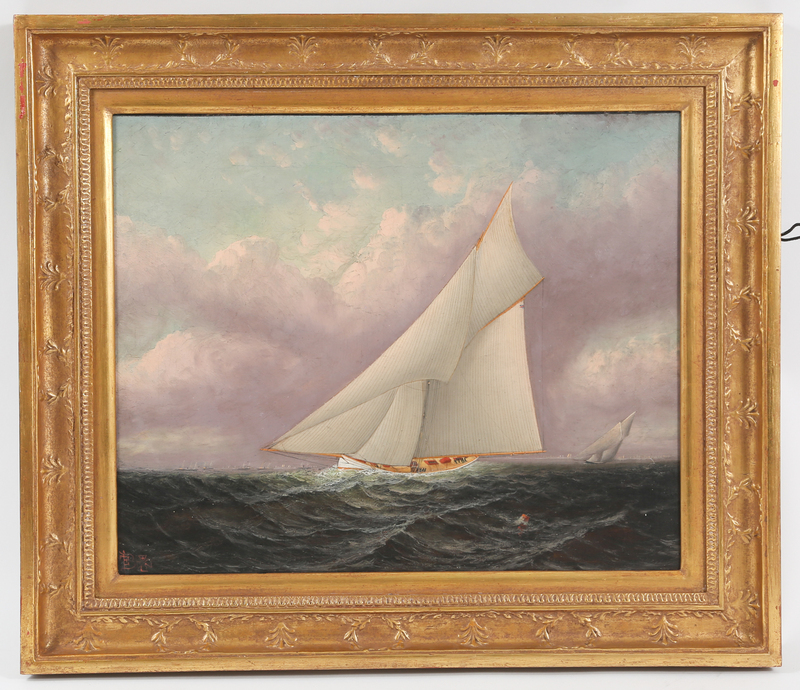 The collecting of Maritime paintings is a tradition that lives on through pieces such as these being offered by Lark Mason Associates, October 26 - November 16, 2017. Portraits of ships were probably the largest category and greatest number of marine paintings by the 18th and 19th centuries. Proud ship captains or ship owners would commission portraits of vessels and a whole industry developed around ship portraiture. These artists painted very accurate renditions of ships for the patron. Shown in profile, the paintings most sought after were highly realistic in terms of rigging and other details. Artists sometimes began as sailors who painted while at sea, and as they developed their skill and gained commissions, they became specialized artists. These paintings focus on the ship and do not include specific details of the surrounding sea or landscape. Far more detailed and exciting are Ships at Sea, which are scenes of ships with details of their activities. These paintings are sought after as they often commemorate important battles, racing victories, or other historical events. The most expensive paintings of this genre are naval ships, usually shown with full rigging and sometimes comprising complex battle scenes. 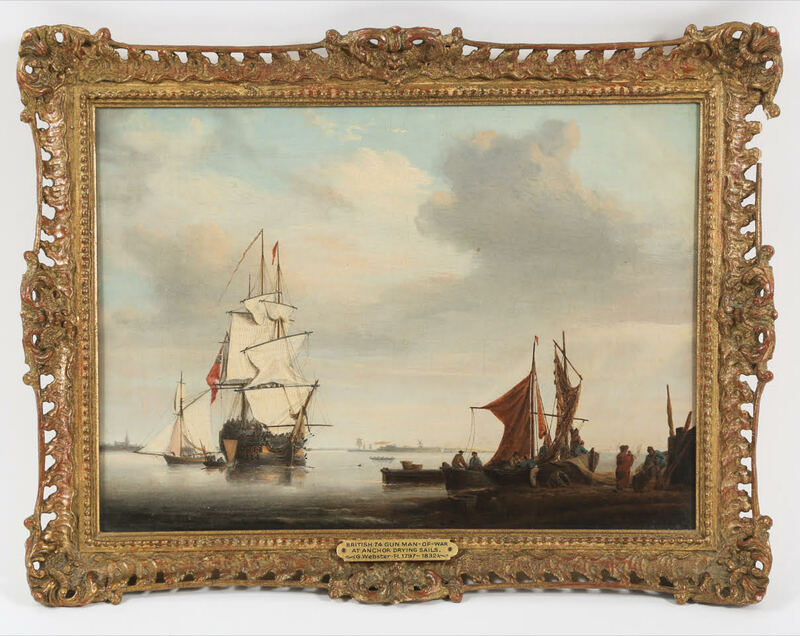 Paintings of Ships at Sea also include smaller commissions of fishing or trade vessels in a seascape. This is also one of the more common categories and usually had smaller vessels as the subject matter. These are differentiated from the other two categories as they include details of the harbor and the landscape surrounding ships near human settlements. 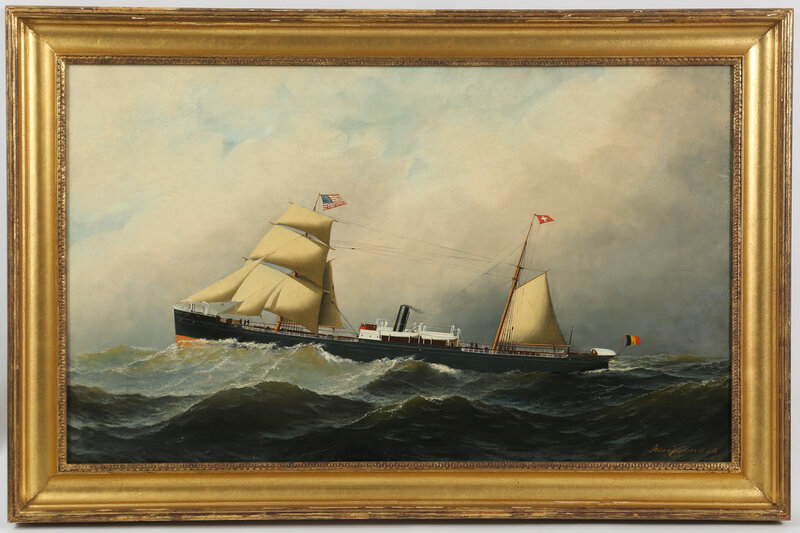 To start your collection, take a look at this sale of marine and other paintings and property from a successful motion picture producer and executive. This collection has works representing a range of prices and time periods. Most important to remember when collecting - have fun!